Happy Friday the 13th! Avoid black cats, ladders and broken mirrors, and stay in with delicious food delivery. 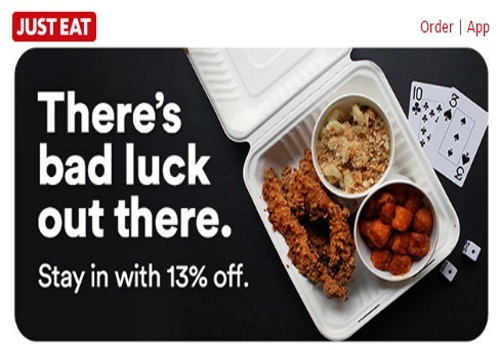 JustEeat is offering a promo code for 13% off your food delivery order! Enter the promo code FRIDAY13 at checkout to get the discount. Offer valid on all credit card orders on Friday, May 13 2016.